Personal injury claims arise when an individual or entity fails to meet a duty of care owed to another party. Legally, a duty of care means that one person has a responsibility to another person to behave with a reasonable level care. For example, when driving on the roadway, you have a duty of care to the other drivers to operate your vehicle in a reasonable manner. If you fail to meet your duty of care and someone becomes injured as a result, that party may be entitled to monetary compensation from you. This is the applicable standard of law underlying most personal injury claims. If you were hurt by someone else’s negligence, seek immediate medical attention for your injuries, and then contact an experienced Georgetown personal injury attorney at McGowan, Hood & Felder, LLC. We have the experience you need to fight for the results you deserve. Personal injury claims originate from a variety of incidents, but there are some types of claims that occur more often than others. Motor vehicle accidents happen every day. They can involve tractor-trailers, motorcycles, passenger vehicles, or bicycles. Unfortunately, even pedestrians are sometimes the victims in crashes. These unexpected events can result in a lifetime of pain and suffering, along with substantial financial losses. The construction industry provides a variety of personal injury examples. Employees face real dangers every single day, with construction site injuries accounting for more than 20% of all workplace deaths. Falling objects, electrical hazards, and improper safety measures can all lead to serious, life-threatening injuries. Site owners or managers may be held responsible if you can show that they did not follow mandated safety guidelines or acted in a negligent manner. Even members of the public are at danger when walking or driving near construction site. Another common type of personal injury claim is premises liability. Property owners have a duty to maintain their premises in a reasonably safe and secure manner for visitors. For example, a grocery store owner must keep the floors clear of any spills that may cause a slip and fall. In addition, he or she must also ensure that the walkway is reasonably clear of debris or ice that could also be potentially hazardous. This duty also extends to homeowners under certain circumstances. A breach of this duty can open the property owner to liability for any resulting injuries. 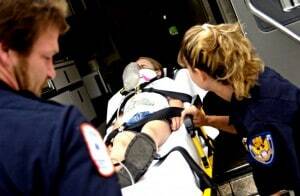 Any type of accident can potentially lead to a personal injury claim. When a negligent party acts in a way that causes harm to you or your family, seek help from a skilled Georgetown personal injury attorney. Duty of care. You must demonstrate to the court that the responsible party possessed a duty of care to act or perform in a certain manner. Breach of duty. The duty of care must have been breached by some action of failure to act. Proximate cause of injuries. This element requires a showing that the breach of duty proximately led to the victim’s injuries. Proof of damages. The final element in a negligence claim requires evidence to substantiate the requested amount of damages. Our knowledgeable Georgetown personal injury lawyers can help you prove the necessary factors as we fight to get you the compensation you need. If you have been injured due to another’s reckless behavior in South Carolina, do not hesitate to get the help you need. The Georgetown personal injury attorneys at McGowan, Hood & Felder, LLC, have litigated numerous personal injury claims. Put our experience to work in your personal injury matter. Call us today at 888-302-7546 or fill out our contact form to make an appointment for a free case evaluation at our Georgetown office.